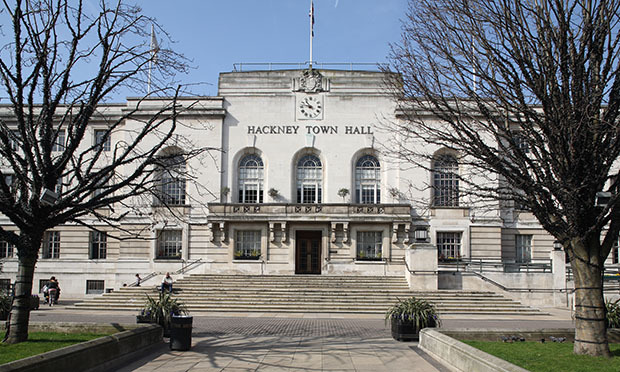 Hackney Council is set to vote on a motion “firmly rejecting” a no-deal Brexit – but opponents have accused it of “fudging” on a People’s Vote. The statement, on which the borough’s councillors will vote on 23 January, calls on Prime Minister Theresa May to extend Article 50 and says the option of campaigning for a second EU referendum should be kept “on the table”. Hackney’s Liberal Democrats claim this leaves Mayor Philip Glanville open to criticism of “fudging” the issue of support for a so-called People’s Vote. Lib Dem activists last did battle with the borough leader on the issue in October, when Mayor Glanville underlined his “very public” support for a second EU referendum in his attendance at the People’s Vote march. The motion, proposed by Cllr Guy Nicholson (Lab, Homerton), cabinet member for planning, business and investment, reads: “The council firmly rejects a ‘no deal Brexit’ which will not just affect the council’s ability to provide services, but it will also affect the borough’s local economy and the wellbeing and prosperity of residents, both EU and UK citizens, living in the borough. “Hackney Council therefore supports the call on the Prime Minister and her government to rule out a ‘no deal Brexit’ and be prepared to extend Article 50 to avoid the UK crashing out with ‘no deal’, and supports the right of Parliament to stop such a ‘no deal’ scenario. The motion goes on to state that, if voted through, it would signal the council’s belief that a general election or a second referendum would resolve the current political deadlock and provide the democratic endorsement, or not, of a final deal. Hackney had the second-highest Remain vote in the UK in 2016 after Lambeth, with 78.5 per cent of people voting to stay in the EU. Council officers warned in October that no-deal would have a “catastrophic” effect on the Town Hall, which is reviewing recently-released specialist advice on Brexit-induced food insecurity. Vice chair of Hackney’s Liberal Democrats Darren Martin responded: “The Mayor of Hackney promised he would table a motion for Hackney Council to back a People’s Vote. Instead we have the same Labour fudge as we do nationally. “The fact they’re still open to possibility of a general election instead of a People’s Vote shows they are still prepared to put Corbyn before country. Samir Jeraj of Hackney Green Party said: “The motion itself very clearly goes out of its way not to criticise the Labour Party or Hackney’s Labour MPs. “The position of the Labour Party has been frankly quite useless on Brexit, and deeply divided. “Brexit has taken up years of political time and effort, and seems no closer to being resolved. “It’s also meant that vital social problems and issues have been ignored around housing, climate change, and the ongoing impact of austerity. “Those have all been pushed aside as we debated Brexit, and we are no closer to any consensus. “A variety of a Brexit deal is going to be disastrous for Hackney.